Spring is in full swing here – my absolute favorite time of the year! So I doodled up a little new spring fashion…. The Flower Fashion Digital Stamp set has a mix of themes – wedding, showers, get well, birthday…. but all flowery and feminine. Here is a quick little wedding shower card I put together with the umbrella. This is my new release this week at my DigiChick store, so if you pop over there in the next 2 days you can snag it for 20% off. Well, I’m off to prepare for some Girl Scout camping the weekend. I’m taking 25 Girl Scouts. Yikes! wish me luck! This entry was posted in Digital Stamps and tagged Copic Markers, Digital Stamps on May 12, 2011 by Cathy. Spring Trees at the Digichick! 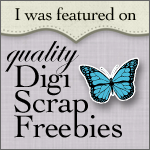 The Spring Trees Digital Stamp set is my new release this month at my DigiChick Store. That means if you hop over there in the next 2 days, you can get it for 20% off! For this card, I wanted to give the flowers a little dimension, so I printed 2 copies. I colored the leaves and background on one copy and the flowers on the other. Then I cut out the flowers and put a small piece of foam tape in the center of each flower. I added a little adhesive to the flower tips and adhered the cut out flowers on the base, lining up the images and sticking the tips down. Here are the Copic colors I used (I colored everything first). The top row are the flower colors (plus a little YG-03 in the centers). The bottom row are the colors I used for the leaves and background. The base is cut out “out of the box” in a circle shape and mounted on a light green circle, then on a Spellbinders Labels 3 die (love how it looks with circles). The Label 3 is mounted on foam tape too. Well, I’m off on my “Spring Break” from electronics…. Just a quick reminder that orders placed in the store will not ship until Monday, April 25. Of course digital stamps are available 24/7 . This entry was posted in Digital Stamps and tagged Copic Markers, Digital Stamps on April 14, 2011 by Cathy.